Hi, my name is Noel. I have been a Registered Dental Hygienist since 2009. I earned a BS in Public Health Policy and Administration from Pennsylvania College of Technology in 2010. 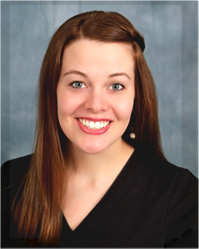 In addition to all other aspects of dental hygiene, I have been skilled at administering local anesthesia since 2013. I joined the Palacios Dentistry Team in 2013. When I am not working I enjoy spending time with my husband and son, attending Church, and getting pedicures! I really like the family environment here at Palacios Dentistry.